The spiel about the purchase of 2000 hectares 150 kms north of Alice Springs by a consortium to be known as Territory Table Grape is as old as it is trite. 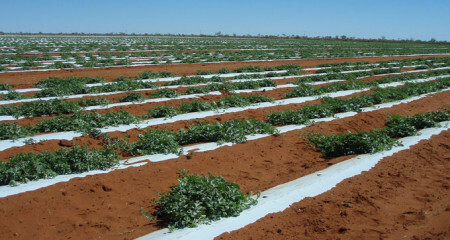 The venture is a “horticultural opportunity for Indigenous Australians in Central Australia”, intones Indigenous Business Australia (IBA) in a media release which announces further that the project will “create wealth for all concerned and provide jobs and opportunities for the local Aboriginal community”. The upbeat language dried up when the Alice Springs News Online began to examine whether this is just another source of income for no effort. We qualified our question with some background: “In a plethora of pastoral, horticultural, mining and tourism industries there are ‘jobs and opportunities’ yet these are not taken up by local Aboriginal people. “Very few – if any – are working on the watermelon plantation at Ali Curung and the Rocky Hill vineyard, as I understand it. “As a result of this commercial relationship IBA is not in a position to provide further comment in relation to the Territory Table Grape consortium and its operations. So we turned to consortium partner Southern Cross Farms. IBA is an interesting organisation. On its website it describes itself as “a significant contributor to the goals of the Australian Government’s Indigenous Economic Development Strategy, aimed at closing the gap between the living standards of Indigenous and other Australians”. Its expenses in 2011/12 totaled $140m. The biggest item was “supplier expenses” of $55m which was – we understand – for people such as lawyers, accountants and consultants. Grants amounted to little more than $8m. The second highest category is “employee benefits” which absorb $43m. More interesting still is the financial position of the other consortium partner, the Kurra Aboriginal Corporation, raising the question why there has been a need to inject any taxpayer’s money into the grapes project. In 2011/12 Kurra had total accumulated funds amounting to $33.6m. In that fiscal year mining royalty income was $6.5m of which $3.7m went to “traditional owner distribution”. A further $688,402 was earned from dividends. So what – other than euphemisms – does the media release say to the public? “The consortium plans to farm the property efficiently and profitably while engaging with the local Traditional Owners who have indicated that they are very keen to participate in the day-to-day farming operations. “Farming operations will commence in July with plans to grow a range of produce including grapes, melons, citrus and seasonal vegetables. Not a peep about jobs being taken up by idle labour as a firm target, rather than an “opportunity”. Photo: The Ali Curung watermelon plantation where backpackers and other imported labour, reportedly, do much of the heavy lifting. It would be interesting to see a complete breakdown of the amounts paid out by royalty paying organisations and amounts received by recipient organisations in Central Australia. Just as interesting would be details of the distribution of tax-free payments to TOs. (iv) do not physically fight with or verbally abuse other members or staff.